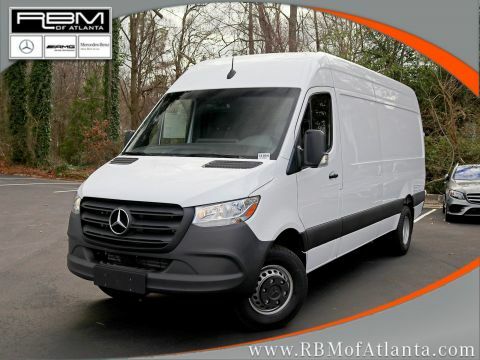 REAR GRAY BUMPER STEP, PREMIUM APPEARANCE PACKAGE -inc: Wheels: 6.5J x 16 Light-Alloy, Headlamp Washing System, Bi-Xenon Headlamps, PASSENGER VAN HEATING PACK 1 -inc: Fuel-Fired Heater Booster (17K BTU), Rear Cabin Heater & Vents, MOUNTING RAILS FOR ROOF RACK, HIGH ROOF, HIGH PERFORMANCE AIR CONDITIONING -inc: AGM Battery 12V 95 Ah 850A, Air Conditioning Rear, Roof-Mounted, HEATED REAR WINDOW(S) W/WASHERS/WIPERS, GRAPHITE GRAY METALLIC, DRIVER EFFICIENCY PACKAGE -inc: Fog Lamps, Becker Map Pilot Navigation System, Cruise Control, DRIVER COMFORT PACKAGE -inc: Comfort Passenger Seat, Comfort Driver's Seat, 2 Additional Master Keys, 12 V Power Outlet, Driver Seat Base, Hinged Lid For Storage Compartment. 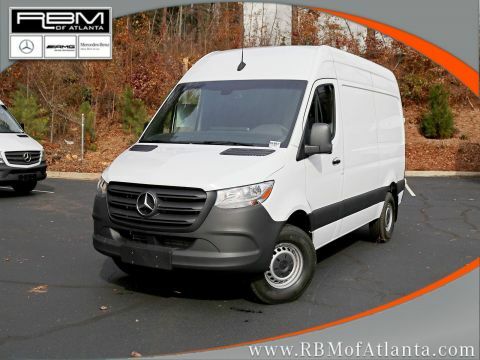 This SPRINTER M2PV46 has a strong 3.0 Liter DOHC Turbo engine powering this Automatic transmission. 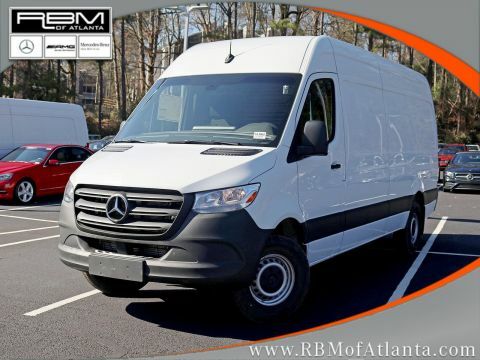 * Experience a Fully-Loaded SPRINTER M2PV46 *ACTIVE SAFETY PLUS PACKAGE W/PARKTRONIC -inc: First-Aid Kit, Light & Rain Sensor, Collision Prevention Assist, Parktronic System (PTS), 4.2 Pixel Matrix Display w/Chrome Dials, Emergency Flashlight, High Beam Assist, Lane Keeping Assist, Blind Spot Assist, Windshield w/Filter Band, Heated & Electrically Adjustable Exterior Mirrors, Overhead Control Panel, 2 Reading Lights, Multifunction Steering Wheel , Urethane Gear Shift Knob, Transmission: 5-Speed Automatic, Transmission w/Sequential Shift Control w/Steering Wheel Controls and Oil Cooler, Tires: LT245/75R16, Tailgate/Rear Door Lock Included w/Power Door Locks, Strut Front Suspension w/Transverse Leaf Springs, Streaming Audio, Steel spare wheel, Split Swing-Out Rear Cargo Access, Splash Guards, Sliding Rear Passenger Side Door, Single Stainless Steel Exhaust, Side Impact Beams, Seats w/Vinyl Back Material, Removable Bench Front Facing Rear Seat, Removable Bench Front Facing 4th Row Seat Number, Control and Type Head Restraint, Removable Bench 3rd Row Seat Front, 3 Manual and Adjustable Head Restraints, Remote Keyless Entry w/Integrated Key Transmitter and Illuminated Entry, Rear-Wheel Drive. 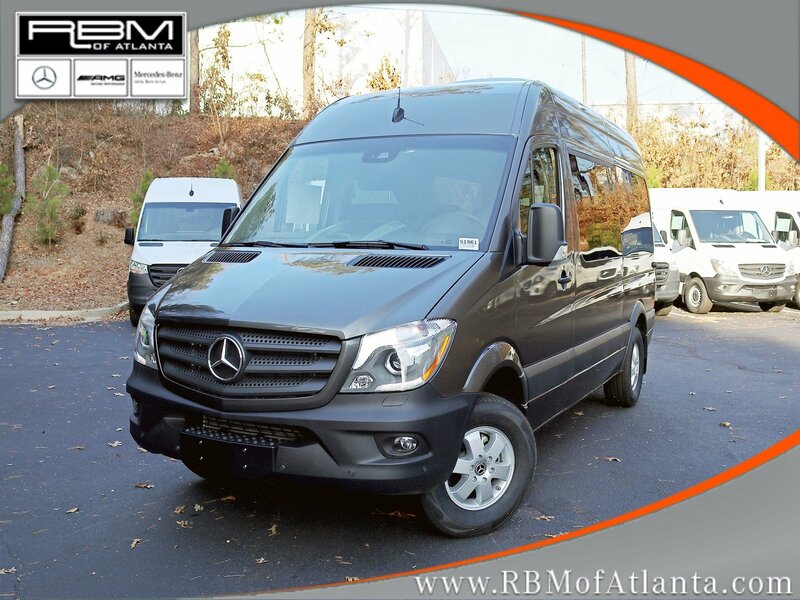 * Stop By Today *You've earned this- stop by RBM of Atlanta located at 7640 Roswell Road, Atlanta, GA 30350 to make this car yours today!